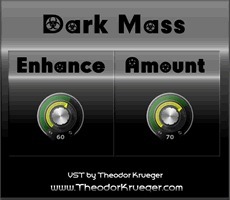 Dark Mass, Software Exciter/Enhancer from Theodor Krueger. 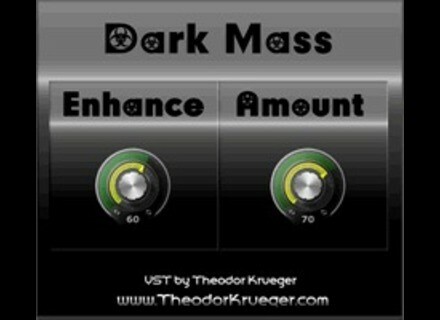 Theodor Krueger has released Dark Mass, a free audio enhancement VST effect plug-in for Windows. It is designed to make everything fatter, be it full mixes, drums, trance kicks, bass or solo guitars. [Musikmesse] PreSonus Capture v1.1 PreSonus' software-development team has significantly enhanced Capture’s features in version 1.1. [Musikmesse] PreSonus FireStudio Mobile The new FireStudio Mobile 10-input, 6-output interface will be presented at this year's Musikmesse. [Musikmesse] PreSonus Virtual StudioLive StudioLive mixer owners can now control the most-used StudioLive parameters directly from a computer, thanks to PreSonus’ new Virtual StudioLive (VSL) software for the StudioLive 16.4.2 and StudioLive 24.4.2 digital mixers.